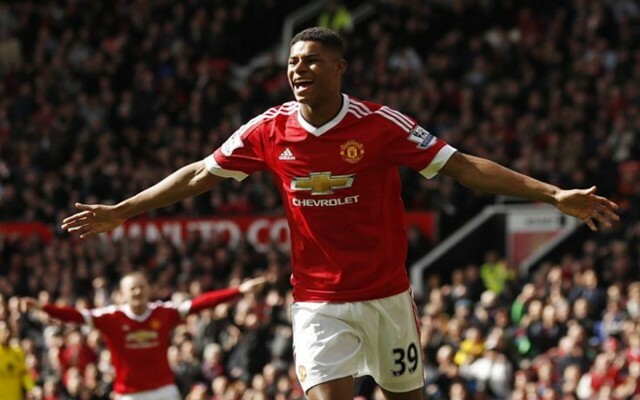 Harry Kane has praised Manchester United’s breakout young teen Marcus Rashford, branding the youngster “outstanding” after he was included in Roy Hodgson’s provisional 26-man Euro 2016 squad, as reported by ESPN. Rashford has unquestionably been superb this season, digging Manchester United out of a number of holes despite his tender age. Injuries and poor form forced Louis van Gaal to rely on youth, and thankfully for the Dutchman he had the 18-year-old coming through the ranks at just the right time. The youngster has been key for United this season, and Kane is looking forward to training and playing with him for England. “He’s been outstanding,” Kane said. “Full credit to him, he deserves his place. He’s young, he’s come in and shown no fear of playing on the big stage and he’s just expressed himself. “He’s not been fazed by playing in the Premier League and hopefully he can take that onto the international stage. We are looking forward to meeting him when he reports next week, seeing his ability. It seems incredibly unlikely that Rashford will make the final cut for the Euros this summer, as Hodgson already has a number of forwards at his disposal. The fact that he’s made the 26-man squad ahead of the likes of Jermain Defoe and Theo Walcott says a lot about his quality though, and it will be a real confidence booster for the striker ahead of the new season. Praise from Harry Kane will presumably mean a lot to Rashford too, as the Tottenham Hotspur star has burst onto the scene and quickly become one of the best strikers around. He won the Golden Boot this season while competing with the likes of Sergio Aguero and an in-form Jamie Vardy, so clearly knows what he’s talking about when it comes to talent. If Rashford can even come close to achieving what Kane has over the last couple of seasons then Manchester United will have a real player on their hands, and he’ll be looking to kick things off this summer with an appearance for England.